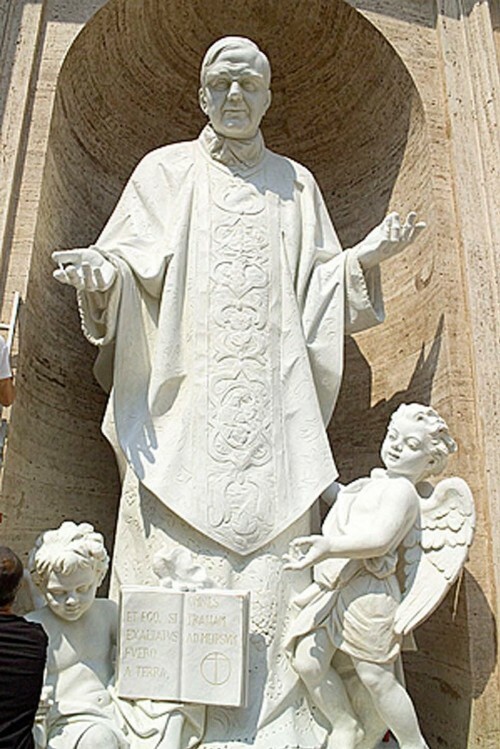 Statue of Jose Maria Escriva, Founder of Opus Dei in a niche of St. Peter’s Basilica. His rapid canonization reflects the lobbying power of his movement and Pope Benedict’s approval of their impact. Shortly after reading Greg Johnson’s article, “Metapolitics and Occult Warfare ,” I saw a Chilean documentary about Opus Dei. I am no expert in Latin America, but from the outside it seems that the Vatican has actively kept pace with Marxism and Americanism on the metapolitical terrain of Latin America. They have done this not through direct confrontation, but rather by hemming closely to the ideological force with the most wind at its back at the moment. They do this while maintaining their core values. I do not believe that all members of the Curia are actively and cynically playing both sides. There are passionate opponents on both sides who would be happy to hear that the other side has left the Church. There are those in the middle who can accept diversity of opinions, but whether it is due to these moderates or the systemic nature of the Holy Roman Church, the Church has been dealing from both sides of the deck to their advantage. 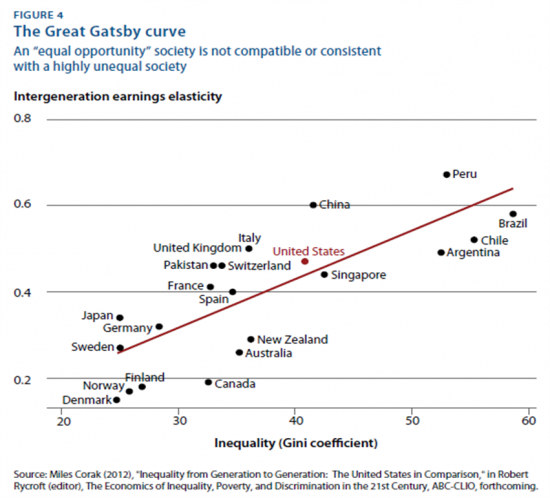 Because of American suspicion of (and action against) any effort towards redistribution of income in their own backyard, the Gini Index of Latin America was (and remains today) higher than all other regions. Local priests and religious, in their pastoral duty, naturally began to address the concerns of their flock. They did this by preaching the Social Gospel and by organizing their parishioners to demand social justice. Some of these prelates would disregard the Church’s teachings on private morality as they focused on social justice. At times when they were reprimanded by the Cardinals and Bishops (who were themselves drawn from the ruling class) some proponents of Liberation Theology would respond by calling into question the existence of church hierarchy. At its height in the late 1970s and 1980s, there were even some ordained religious who took up arms with guerillas and even more who provided logistical support. This coincided with the KGB’s focus on National Liberation movements and on US support for the Contras and other anti-communist paramilitaries. It was already quite clear when this picture was taken that Fr. 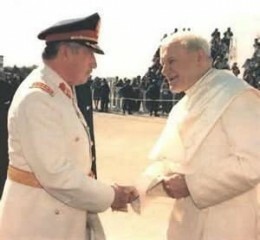 Marcial Maciel, founder of Regnum Christi/Legion of Christ was a prolific sexual predator, but Pope John Paul II refused to act and endanger the movement. 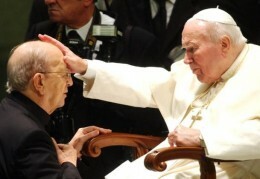 Only when his predecessor was incapacitated did Cardinal Ratzinger initiate the process that removed Fr. Maciel from active ministry and publicly condemned him. This was over the intense objections of senior members of his movement and supporters like Fr. Richard Neuhaus, editor of the Neo-Con journal First Things. In response to the rise of Social Justice discourse in the Church, theological conservatives and their bourgeois backers flocked to several lay ecclesial movements to organize a reaction within the Church. These movements were more organized and better funded than Liberation Theology, which was more a school of thought that inspired activism than a centralized movement. Perhaps the first lay ecclesial movement is the Legion of Mary, which explicitly based its structure on the Roman Legions. Membership had serious requirements and departure from the group required a written request. This group created a kind of panopticon that is common to high-involvement/new church movements, for example Jehovah’s Witnesses, but is uncommon in Catholic Parishes. Unlike the Legion of Mary, later lay ecclesial Movements added political goals to their mission. These are implicitly pursued by their members, but rarely if ever officially admitted it. The most powerful of these groups include: Communioni e Liberationi which is quite powerful in Italy and dominates the household staff of the Pope; Regnum Christi/Legion of Christ which has over 70,000 lay members primarily in Latin America; and Opus Dei which is particularly focused on developing rich and powerful members and has approximately 90,000 adherents. These three movements are associated with Integrism (official status for the church within the state and promotion of laws reflecting Catholic doctrine) and anti-communism. They have been successful at creating a node of power in many Latin American countries. Opus Dei has positioned itself in the educational life of Latin America’s elite by supporting business schools (the most prestigious is IESE in Madrid) which in turn promote Austrian School and Monetarist economics. This has firmly aligned them with the economic interests of the ruling class. By promoting ordinations from within their own ranks and supporting the careers of bishops and theologians, they have bought some sway within the Vatican. 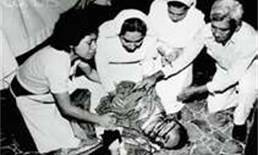 Archbishop Oscar Romero of El Salvador was assassinated while performing mass in 1980, a month after he asked President Carter to end foreign aid to the military government and a day after instructing soldiers not to fire on civilians. The Vatican was responsive to the lobbying of these reactionary lay movements. The situation, particularly in Central America, really was spinning out of control. The church was bitterly divided, and the possibility of another Luther turning the common people toward a schismatic church was increasing. 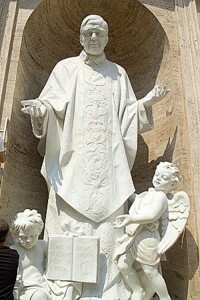 Before becoming Pope Benedict XIV, Cardinal Ratzinger was a rather controversial character due to his active suppression of many theologians while running the Congregatio de Propaganda Fide (formerly the Holy Inquisition). His tenure there was the first time since Pius X that the powers of the office were so strongly utilized. Four nuns who provided food, shelter, and transport to Marxist guerillas were raped and murdered by anti-Communist paramilitaries in El Salvador in 1989. However, the punishments he meted out were very precise. The social Gospel could be preached as long as the Church’s stance on the “Theology of the Body” was not contradicted, prelates did not overstep their canonical limits while engaging in politics, and the hierarchical structure of the church was not put into question. If these rules were followed, the periods of silence imposed on clergy would be allowed to expire. Since the fall of the Soviet Union, in particular, the environment of repression has progressively subsided. Though Cardinal Ratzinger was personally quite conservative, he has not sought the total suppression of liberation theology, only its subjugation to the Vatican and her essential mission. He has supported the lay movements, but he has never given in to them. It is wrong to assume from this that the Catholic Right has won and the Catholic Left has lost. To arrive at such a conclusion would be to suffer from a fallacy of shortsightedness. 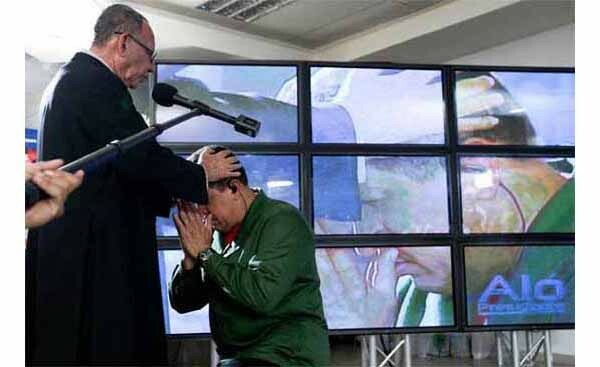 Regardless, of whether the future of Latin America is guided by plutocrats or by Marxist strongmen, there will be a school of Catholic thought that serves the interest of the regime in power. It will be counterproductive for these regimes to, on the one hand, pry the hearts and minds of the populace away from their Church. On the other hand, by partnering with one wing or another within the church these politicians and revolutionaries legitimize and encourage the Church’s hold on the people. There is no neutral option. This means that the future of the Church in Latin America is secure in all eventualities. The Message of the Gospel and the Primacy of Peter will continue to be preached to all, and Catholicism will be culturally hegemonic. It no longer matters to the Pope whether there are Republics or Monarchies, cultural hegemony is the great metapolitical goal of the Vatican. The nascent “Alternative Right” being born from the ashes of the Bush Administration and the (quite frankly) long dead Paleo-Con movement, is already showing signs of systemic similarity to the Vatican’s approach in Latin America. There is a real desire to accept a broad diversity within this movement and openness to using a wide variety of methods for expansion. Of course to effectively pursue this there is a serious need for Self-Knowledge. It is easy to put too much weight on the issues of the day, to reject certain goals because of the objectionable associates one needs to win, or to give in to the pride of taking one’s axioms to “logical conclusions.” The 14 Words constitutes our first article of Faith. Everything shall be measured against this including personal pride and desire.